Legendary Fidelity investor Peter Lynch was fond of pointing out that the investor who turns over the most rocks, or does the most due diligence and research to uncover great investments, stands the best chance at winning, or making a lot of money. Any and every research technique is valid when analyzing an equity, and checking the news is one of the most important factors. Below is an overview of some of the more important financially based resources. 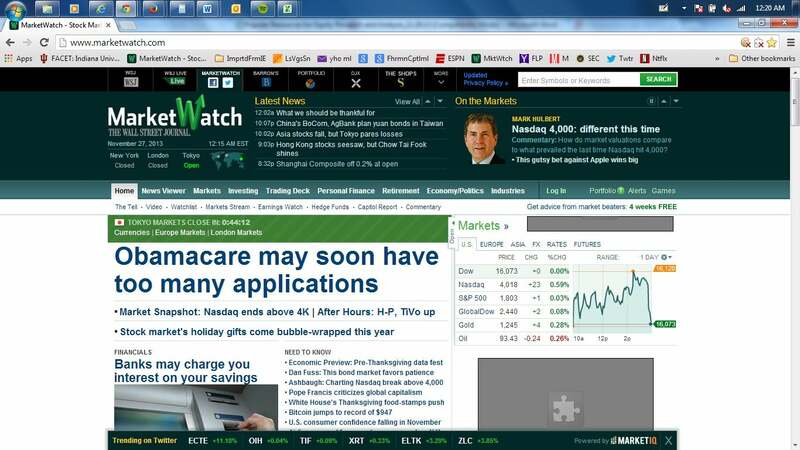 Not everyone realizes there is much more beyond MarketWatch’s home page. 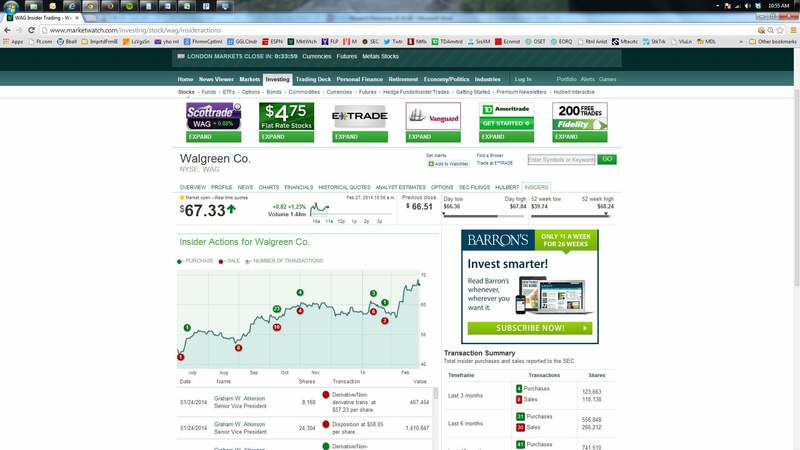 For instance, MarketWatch has an industries tab. A perusal of the current content details that natural gas futures have fallen and that Federal Reserve officials are looking for signs that economic growth is faltering. The markets tab includes data on major market indices and a detail of stocks that are reaching new highs. When entering a specific company ticker, MarketWatch also provides analyst estimates and trading activity, as can be seen below. Obsessing over daily and even minute-by-minute company developments and the related stock trading details will cause an investor to lose the forest for the trees, but there is a need to keep up, as much as possible, on how a company is performing. The more astute investors have a website such as Market Watch to stay updated on when a company reports results or releases news that is important in determining its success as an investment. Similar financial media platforms include Reuters and Bloomberg, the last of which purchased BusinessWeek and provides a weekly magazine. Seeking Alpha has grown quite popular over time and offers comments from independent analysts as well as bloggers, many of whom are willing to offer their advice for free for a variety of reasons, including the desire to build up a following or provide insight they believe to be unique and valuable to the investment profession as a whole. Though there are literally thousands of free financial and investment-related websites, trade journals and periodicals out there, the above categories should exhaust the resources available to obtain free information. We will soon go over resources that are available for a fee or subscription, but note that many resources that charge for their services offer free content. This includes sites that offer subscriptions to their data or newsletters to earn money for financial advice that can turn out to be valuable and profitable. Examples of these resources include free sections on the websites of Motley Fool, theStreet.com and Zacks, all of which can be found on the news wires but run an array of newsletters, stock-trading strategies and even money management by which they charge a fee for their services. This tutorial offers details on the most popular resources for equity research and analysis. Financial analysis reports contain a wealth of valuable information about a company. Here's an overview of the major sections to consider when writing and reading one. Here are some ideas to help you identify stocks that have a good chance at making you money. It’s not enough to just have a website. Here are three amazing advisor websites that go above and beyond. With more Americans going online to get financial information, advisors should make the most of publishing platforms. Learn about the differences in the mutual fund rating systems offered by Morningstar and U.S. News and some of the these websites' commonly used metrics.